Students loans in the USA are essential yet expensive. The USA has a complex third-level system where potential students have to carefully balance the estimated profit from the attained jobs with monthly payments for paying back debt. At present, student loan debt in the USA is over $1.6 trillion. That’s $1,600,000,000,000. Compare that to $880 billion for credit card debt and $750 billion for auto loans debt. 2017 graduates left university with an average of nearly $40,000 in student debt with over 44 million Americans making up the figures. Law and medicine have the highest figures of debt compared to other subjects. 11.2% of those in student debt are either delinquent or in default. If you are struggling with student debt, which many are, then LendKey can help. LendKey is a disruptive organization with a novel way of connecting borrowers and lenders. It provides an alternative model for student loan refinancing that is generating cheaper rates for students. Click here to check your rates with LendKey for free and without affecting your credit score. LendKey refinance is revolutionizing the loan industry by allowing local banks and credit unions to access the lending market. These tend to have the most favorable lending terms and conditions, yet are often unavailable to students. They are connecting two market participants for the benefit of both. The interest rates are lower than other financial institutions who are known for charging high fees. The local banks and credit unions also benefit from a very reasonable interest rate. For students, LendKey offers both loan refinancing and private loans, as well as many other financial solutions. They also offer home improvement loans. LendKey offers five repayment periods of 5, 7, 10, 15 and 20 years. To apply for a LendKey refinance, you first need to enter your personal details on the site. These details include name, address, telephone, citizenship, annual income, loan amount, loan type. You will also need to fill out your school and degree. It only takes a couple of minutes to fill out the online form. LendKey then completes a soft credit inquiry using its technology and then you will get to see your LendKey refinance offers right on the screen. You can check what offers are available to you right now by using their online tool. Once reviewing your offers, you select one. Double check that the interest rate, type and repayment period are correct. When choosing a repayment period, stay within reason. Too little, and you will have difficulty paying it back. Too long, and it will increase the total payment and also the total length. A long repayment period could defeat the purpose of acquiring a cheaper interest rate on the loan. After doublechecking, you will create an account and agree to a hard credit inquiry. You will have to insert your social security number for this check to be completed. This check will affect your credit score as a hard credit check. The LendKey student loan offers are preliminary and not final until the lending institution has checked the hard credit score and confirmed eligibility. However, in the majority of cases, if the offers are present by LendKey the lending institution are available to provide the loan. After application, you will need to upload documents to confirm income and outstanding loans. Typical types of required documentation for these types of loans include official statements from current lenders with regard to the outstanding balance and payment history. A letter of acceptance from a future employer is acceptable as proof of salary. Because credit unions are regional, you may need to provide proof of address when applying for loans. Loan refinancing is not the same as student loan consolidation. By using LendKey refinance, student loans can undergo a large interest rate reduction. This is because the initial loan was taken out on certain terms and conditions. But since you took out the loan, the credit rating could have improved, making you eligible for a lower rate. You can even use LendKey refinance for free to see what rate you would potentially get with them. 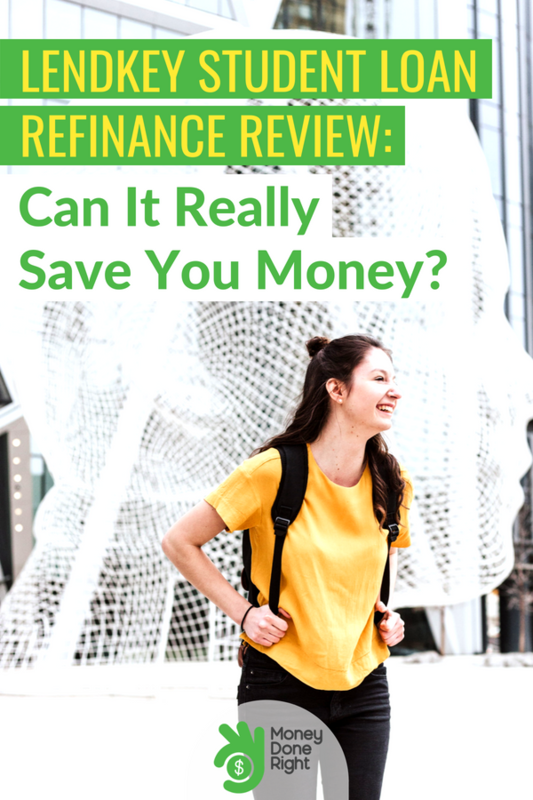 There are no application fees for refinancing a loan with LendKey, and it typically results in vastly reduced interest payments. Both private and state loans can be refinanced with LendKey. It is possible to combine both private and state loans into one monthly interest payment. The LendKey refinancing calculator can provide a quick estimate on how much you could save by refinancing your loan. 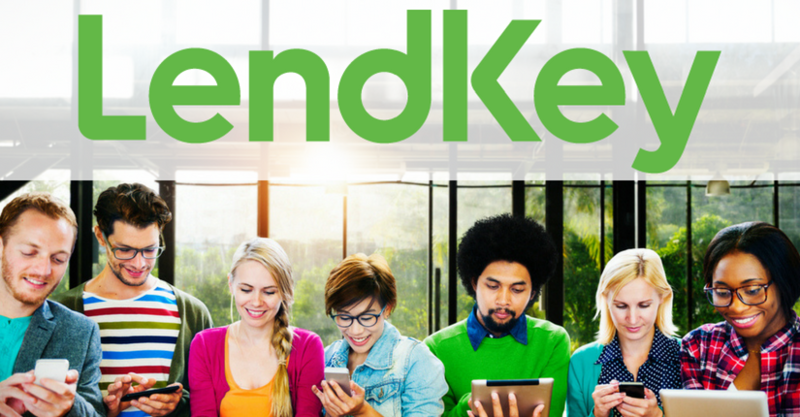 There are multiple benefits to using the LendKey lending platform, which will largely depend on the individual circumstances of the student loan and what the applicant is looking for. One benefit is making one single monthly loan instead of several with the loan refinancing option. Another obvious benefit is lowing the interest rate on the loan. They also offer the best possible rates, starting at 2.68%, among the lowest advertised rates on the market. The fixed rate of 3.15% is also among the lowest around. There are many types of loan options available. However, sorting through them to find the right one can be hard to do and quite time-consuming. And the loan application process can be a headache. What LendKey provide is an easy to use and streamlined platform where you can easily select the loan that you want. It essentially hands students’ space and flexibility, in the sense that they can select the options that suit them best. LendKey aggregates all loans from local banks and credit unions and makes them available to students through their easy to use platform. LendKey also provides information on loans and how they work, which helps students to choose the best available option. Both variable and fixed rates are on offer. A fixed rate is one that does not change over the life of the loan, and a variable rate is one tied to interest rates. The applicant can choose which one is a better fit depending on individual circumstances and risk tolerance. There are no penalties for those who would like to pay off their loan early, so more than the monthly payment may be paid off at any time. There are no origination fees applied on the refinanced loan. Also on offer is the LendKey cost calculator to help students budget their expenses. No matter what rate of interest and how much the loan is, students and adults alike need to complete a budget and keep an eye on the figures. LendKey also operates Lending Hands, a movement designed to spread neurodiversity in the workplace as well as generate autism awareness. The LendKey internship program partners with local schools in order to recruit individuals with disabilities such as autism, ADHD, and Aspbergers. They provide free guides for student loan refinancing information and federal and student loans. For people who sign up for automatic payments, a .25% interest rate deduction is applied. This has the added advantage of reducing the interest rate while ensuring you never make a late payment, which could have an adverse effect on your credit rating. Provided the lender allows it, borrowers can pause payments for up to 18 months if they happen to become unemployed. This is one of the longest unemployment protection periods on offer with any lender. There are few pitfalls associated with LendKey. They connect cheap loan providers with those who need them. However, paying off debt has to be done on an individual basis. Despite all the refinancing, loan obligations still have to be met. It is up to each individual borrower to perform his or her own due diligence and to budget accordingly. While LendKey connects borrowers and lenders, each application is to be reviewed by the lender in question. So it is ultimately at their discretion. Loan applications nearly always require the upload of documents for verification, which many people might find invasive. In many cases, the larger the loan, the stricter and more extensive the necessary documentation. But this is not a disadvantage of LendKey, who are connecting students with the lending institutions who are bound by law to verify that they are providing appropriate loans to creditworthy individuals. It is worth noting that consolidating federal and private loans makes sense in a lot of circumstances, but can be disastrous in others. When refinancing federal loans, some federal programs and protections can be lost. For example, people will no longer be eligible for forgiveness programs or income-based repayment plans. Working with private lenders usually means that there are fewer options for loss of income. On the other hand, LendKey offers the best protection plan for borrowers in the event of loss of income. LendKey is an accredited A+ business with the Better Business Bureau (BBB). The BBB was established in 1912 with the aim of vetting organizations so that they were trustworthy and legitimate. In order to use the BBB trademark, businesses have to conform to the code of conduct of the BBB, an independent organization, as well as pass the BBB audit. Aside from the BBB, LendKey has a very high independent review rating on Yotpo. There are nearly 400 reviews and the lending platform has a 4.5 rating. There are a few criteria that will need to be taken into account when using LendKey to refinance through one of their partners. The total amount to be refinanced must be more than $5000 but less than $300,000. Most students will fall into these categories, with some in medicine and law having a higher loan amount. Additionally, the credit score and salary must meet a certain threshold. The most common type of credit score rating system in the USA is FICO, used by the majority of banks and credit institutions. FICO scores range between 300 and 850. A credit score under 500 is usually regarded as poor, and a score above 650 is regarded as good. You can check your credit score for free and see if there have been any errors, which can happen more commonly than is typically believed. Raising a credit score takes time and there are no easy fixes. You will need to simply pay back debts in a timely manner. LendKey does not advertise minimum salary or credit score requirements, so this is usually up to the lending institution. However, applicants will have to be somewhat realistic and have reasonable credit scores and a salary to match. There is an easy way to obtain a loan for those with a bad credit score or a poor salary in comparison to the total debt owed. When applicants sign with a co-signer who has strong credit, then it will help to secure a loan and to cut down on the interest rate owed. Those who are willing to co-sign must be willing to undergo a hard credit check, and they are liable if you fail to pay back the loan. LendKey allows co-signers to be released from the policy once an approved number of on-time repayments are made. 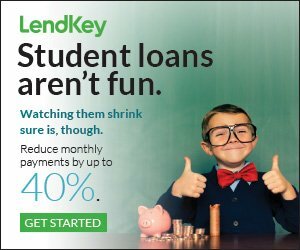 LendKey refinance provides an easy way for students to find a cheap loan with no strings attached. They are very open and transparent in their operations and they have excellent feedback. There is little reason not to refinance with LendKey especially considering the service is free. You can check what loans are available by filling out a form and get feedback in less than 5 minutes using the LendKey platform. All things considered, LendKey is one of the best private loan providers that finds the best rates for customers. The co-signer release period of 12 months is very generous. They are also offering a bonus $150 to new customers, which is a nice touch for those looking to save money and better their finances. All in all, LendKey student loan refinance is an excellent choice for indebted students.